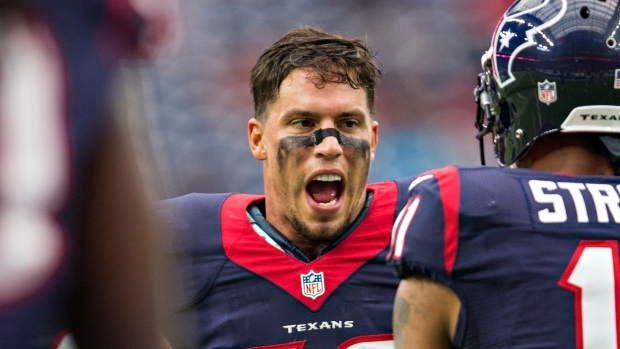 Houston middle linebacker Brian Cushing injured his knee in the first quarter against the Chicago Bears and will not return. Cushing was injured early in the first quarter and walked off the field. He was looked at by trainers on the sideline for a couple of minutes before going to the locker room. He missed significant time in the 2012 and 2013 seasons because of two major injuries to his left knee. But he returned in 2014 to start 14 games before starting each game last season.